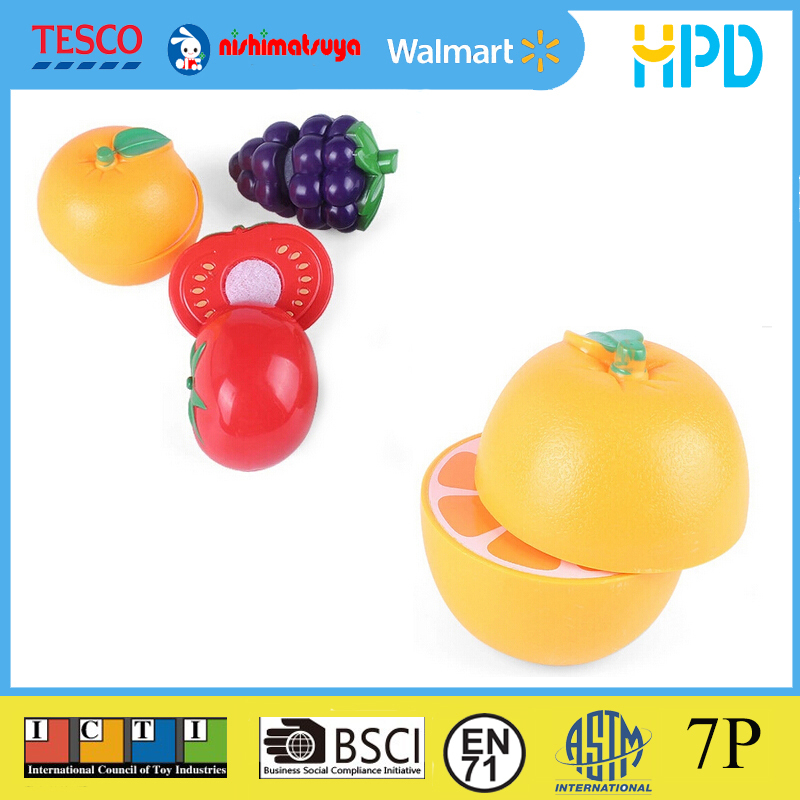 This cutting fruit set made of integrated solid plastic with eco-friendly water paint, the wooden set is tested to be safe and durable.Combines hands-on fun and unique learning with creative play, great for imaginative play. 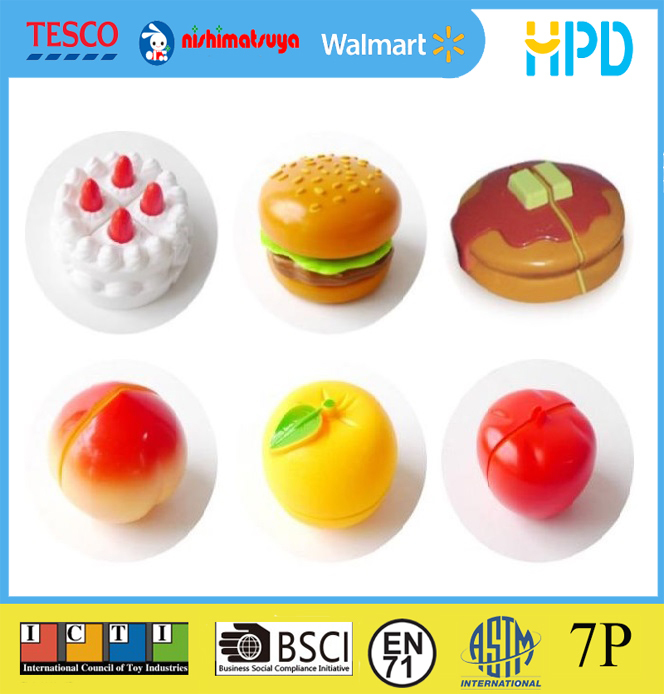 Each item is detailed and looks delicious! 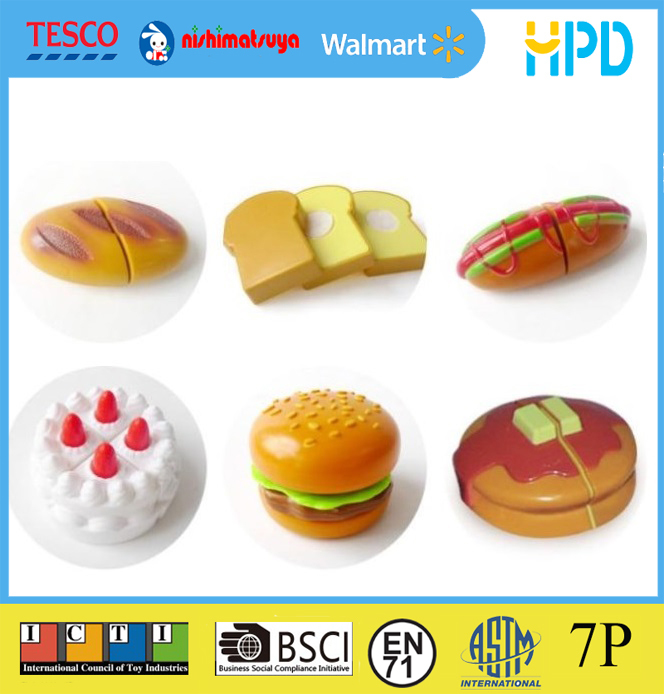 Moreover, when each item is cut, the colorful inside is made to look like the real thing! 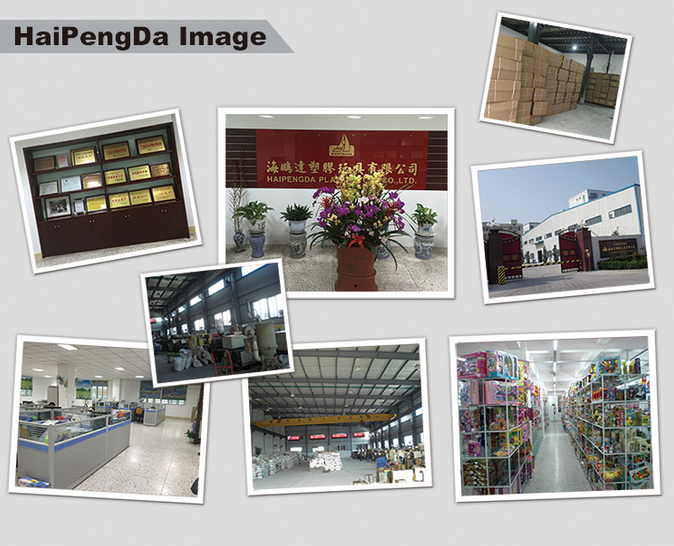 HaiPengDa Plastic Toys Co., Ltd. was established on 1983, we are in Chenghai, Shantou City. exporters in the field of toys in Mainland China. Welcome your visit to Shantou and to our showrooms! We also can provide ODM & OEM services. We are manufacturing-type enterprise since 1983. 1. We can provide good quality with competitive price, good service and promote delivery. Q1: Do you have any certification for your products? Q2: Can I have a sample for testing? Q3: Can I add my logo on the item? A:Yes,OEM and ODM are available for us. Q4:Can I have my owm artwork for packaging? Q5: What is your Trade term? A:EXW, FOB, CNF, CIF is also ok.
Q6: What is your Payment term? A:TT, LC, Western Union, Paypal, Escrow is could be accept. Q7:What is the Loading Port? Q8:How long we will send out goods? A:Small order(1-5 ctns) :within 3 days after receive payment. Big order(20GP.40HQ):7-60 days after receive deposit. 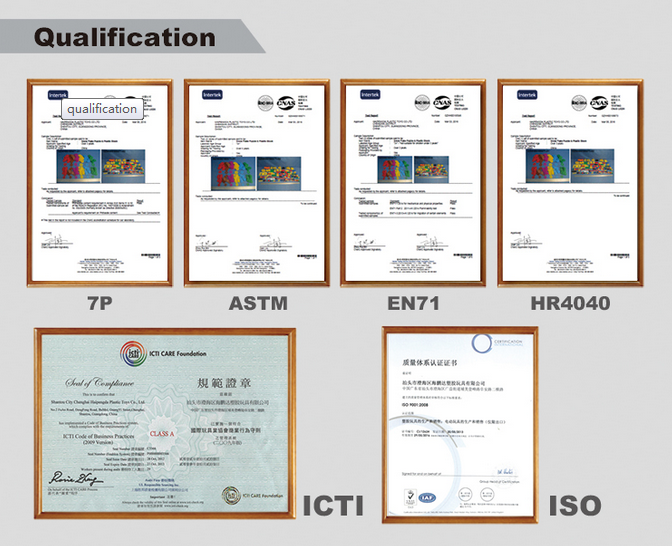 All material and products comply with the required testing standard. Q9:Can we have mixed order? A:Yes,you can mix items in one container, mix orders from different factory is acceptable, too. 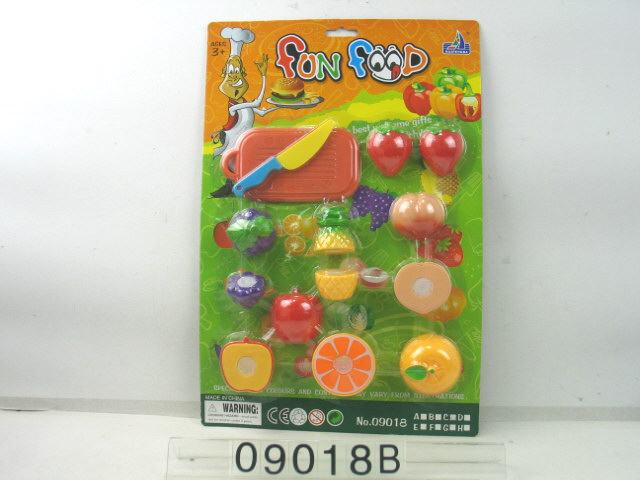 Looking for ideal Orange Fruit Toy Manufacturer & supplier ? We have a wide selection at great prices to help you get creative. All the Baby Toy Gift Sets are quality guaranteed. We are China Origin Factory of Kid Toy Storage Ideas. If you have any question, please feel free to contact us.